Alba Floor Care: Professional Carpet Cleaning. We offer 2 carpet cleaning packages. If you would like us to move and clean under your furniture then our full room clean is your best option, If you only need the walkways and traffic lanes cleaned choose our traffic area clean. Call today to arrange your free carpet cleaning estimate. Or if you would prefer you can arrange a free visit where we can measure up and inspect your carpets. We recommend this if you are not sure about the measuring process. We can call in the morning, afternoon or evening at a time that’s convenient to you. We offer morning, afternoon or evening appointments to suit your availability. We offer 2 main carpet cleaning packages. Read more about our carpet cleaning packages. of all areas we will be cleaning. 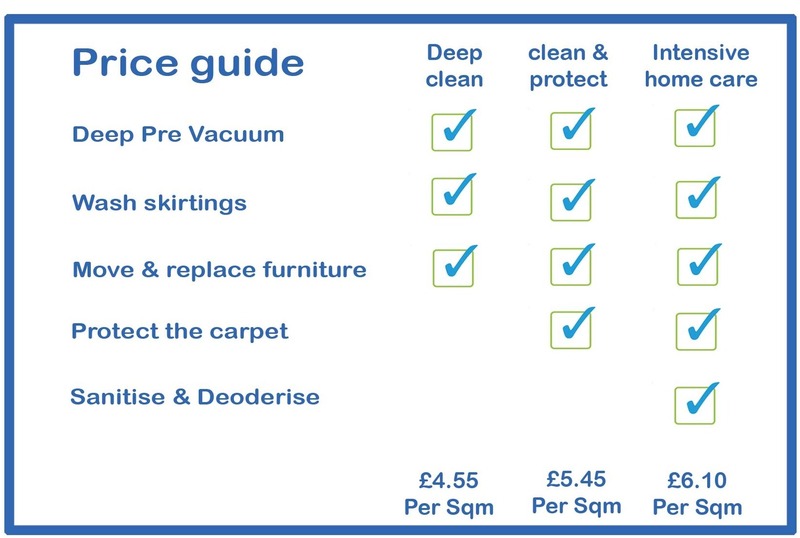 You can then add optional extras like carpet deodoriser and stain protector. Read more about our carpet cleaning costs. Why choose Alba Floor Care Carpet Cleaning service ? Peace of mind : We carry full public liability and employer’s liability insurance. Safety first : We carry out risk assessments on all our cleaning activities. Training :Our professional carpet cleaning technicians are all fully trained in carpet care and stain removal treatments. Green Ethos : All our cleaning products are eco friendly unless otherwise stated. No hidden charges : We provide a free, fully itemised cleaning estimate to all clients. Professional carpet cleaning Glasgow upholstery and leather cleaning and restoration. Stain removal and odour removal. Over 60's discounted rate.